Are your campaign lists lacking luster? Need to energize them with new leads? 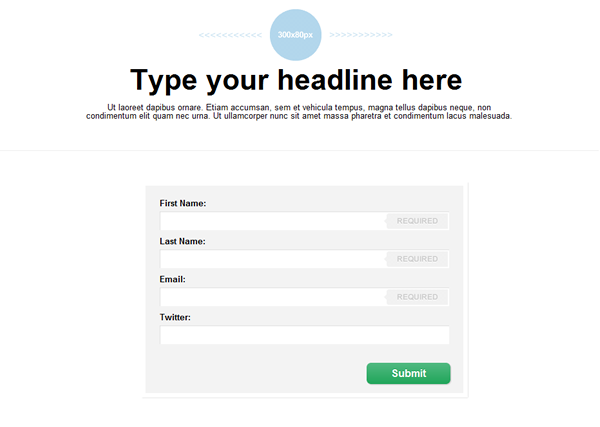 An effective answer is to link your email publishing platform to your landing page. 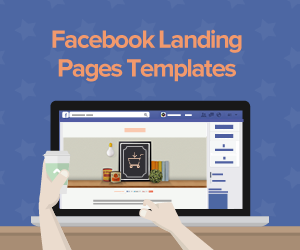 This will automatically replenish your lists with new leads as these are created. 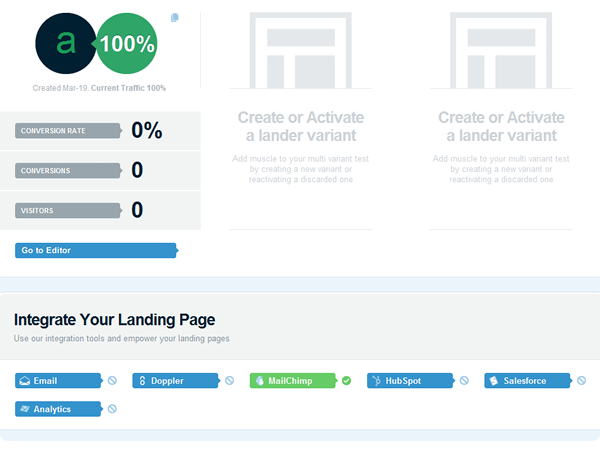 Like everything else, Lander makes it quick and easy. 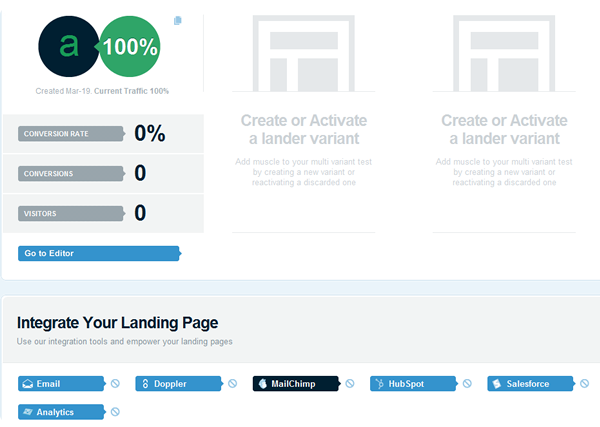 Create a high-performance Lander landing page. 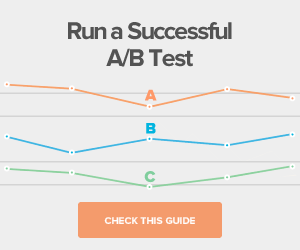 Customizable templates, drag-and-drop editing and optimizing A/B testing make it a cinch. Start integrating the tools you want for added functionality. 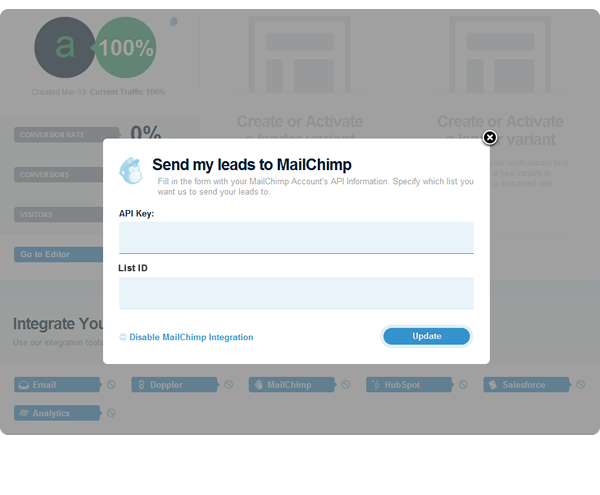 Select MailChimp. 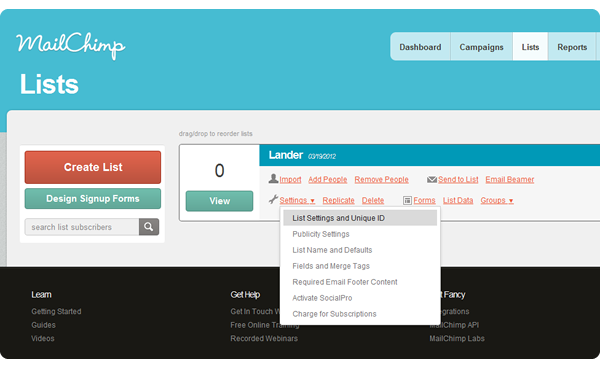 Lander tells you it needs your MailChimp API Key and the ID for the list you want to add leads to. 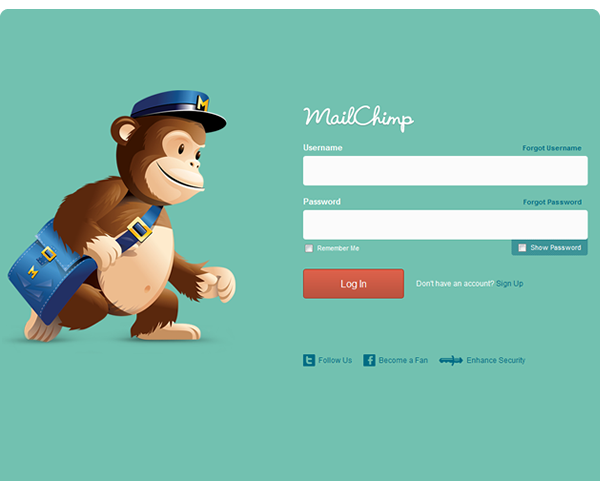 Go to MailChimp and log-in. 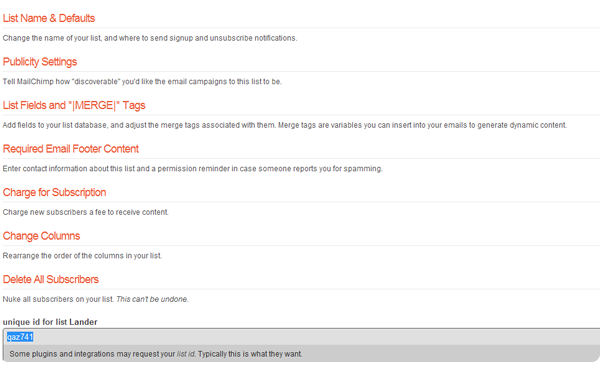 Go to ‘Lists’ and choose the one you want to enhance. Go to ‘List’ settings and ‘Unique ID’. 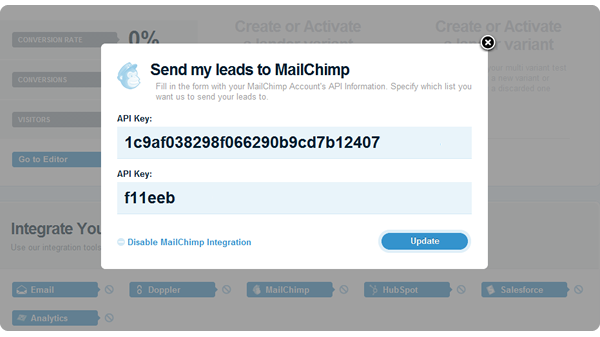 Go to ‘Account’, click on API Keys and authorized apps. Get your API Key. It’s really private, so not for sharing! 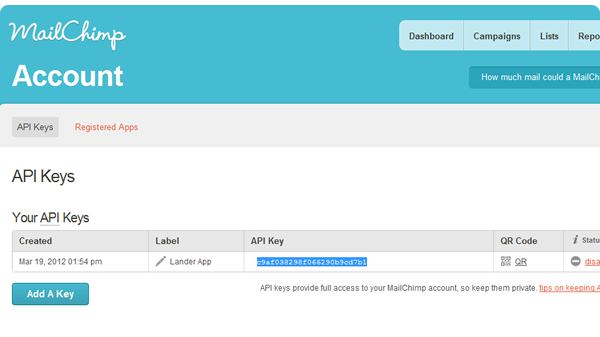 Return to Lander app and enter the API Key and List ID you’ve retrieved. Update. Integration is now complete! 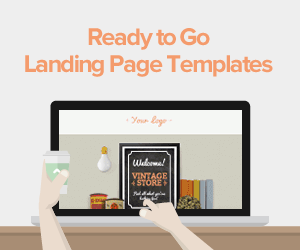 Now every lead your landing page creates automatically becomes a new entry in your list. And you can be sure these prospects are hot too. 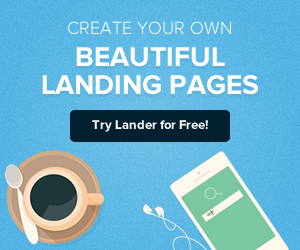 Even if you’ve no IT or design skill, Lander enables you to create landing pages that drive people to want to engage with your business or brand.